From A for Above the Fold to Z for Target Page – the world of search engine optimization knows many technical terms. Anyone who is new to the SEO terrain or uses it only occasionally, will quickly feel overwhelmed by the SEO jargon. 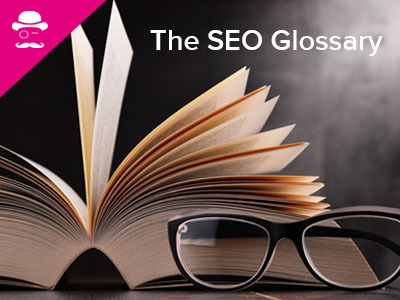 To help you keep track, the seo-nerd in its SEO lexicon explains all the terms you should know. Above the Fold – the area of a website that is visible without scrolling. Important content should be placed there, as users focus the most attention there. Accessibility – Contents of a website that can be used by users with physical disabilities (e. g. blindness, red-green weakness) with technical aids. AdSense – Google’s advertising program that allows site operators to advertise thematically relevant ads on their website for a commission. AdWords – Google’s ad program that allows paid ads on specific keywords to be displayed above the organic search results. More about Google AdWords. 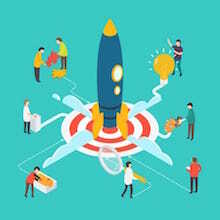 Affiliate Marketing – Affiliate programs, in which the website operator (publisher) promotes the products of the merchant (merchant) on his website via various advertising media and receives a commission for this. Algorithm – In mathematics and data processing, an algorithm is a processing scheme to solve a problem or class of problems. In search engine optimization the term is usually used as a synonym for the core program of the search engine. Alt-Tag – Text that is stored in an image file of a page and describes the image. If the image cannot be displayed, the stored alternative text appears. Alt-Tag is used by search engines to recognize the content of the image. Anchor Text – Clickable text of a link within a document, usually highlighted. Article Spinning – Text created automatically using spinning software. The spinning software generates “new” texts from text templates by restructuring sentences and exchanging synonyms with each other. The method is outdated and not recommended. As it cannot deliver unique content and therefore no longer meets the requirements a semantic search engine such as Google needs, the website’s content will be no longer held valuable by the search engine. Authority – Website that is relevant to your topic and provides valuable, trustworthy content. The more important a website is, the more likely it is to be ranked higher in the SERPs. Automatic Redirect – Automatic redirection of one URL to another. Often used when moving a website to another domain or during server maintenance. Backend – The administration area of a website, which can be used to make adjustments and add new content. In contrast to the frontend, this area is not visible for website visitors. Backlink – Link that links from another website to your own website. In a backlink analysis, all “incoming” links are checked for reliability and usefulness. Spam links and links of dubious origin can be cancelled with the Disavow-Tool. Bad Neighbourhood – Websites that violate the guidelines of search engines and have a negative impact on their ranking due to their proximity to other websites (e. g. through links or joint hosting). Banners – Graphic advertising media that, similar to print media, occupy a certain area of a page and attract the attention of users. Black Hat SEO – SEO measures that deliberately violate search engine guidelines and therefore result in penalties or banishment from the Google index. Blacklist – Contains websites or IP-Adressen that spam or violate existing laws. These are removed from the database of search engines and are therefore no longer traceable there. Bots – Including crawlers or spiders, a search engine programs that search the Internet for new content to compile Internet documents for indexing and searching. Bounce Rate – Proportion of website visitors who leave a website after a single page visit, i. e. “jump off”. Branding – Marketing activities to build up and promote a brand. Broken Link – Hyperlink that refers to a non-existing or not longer existing page. A high number of broken links can have a negative effect on the ranking. Bug – Error in the software that causes a program to not work properly. It is usually discovered when the program is executed. Cache – Buffer for the acquisition of certain data in order to be able to process them more quickly. Saves the copy of the current query so that you can access it at a later time. Call to Action – An invitation to the user of a website to perform a certain action (e. g.”Click here” or “Register now”). Canonical Tag – Indication in source code for websites with (almost) the same content. It refers to the original version used by search engines for indexing. The duplicates are not being indexed. CMS – Content Management System; system for managing and creating web content and depending on the source code; known CMS are WordPress, TYPO3 or Drupal. Conversion – Process in which a website visitor is guided to a concrete action. This action is e. g. a purchase, newsletter registration, or a download. Conversion Rate – Percentage of website visitors who have performed a desired action. More about the conversion rate. Cookie – A data record that is stored by the web server on the user’s terminal device and stores data such as the duration of the visit or data entered in order to recognise a user and his or her setting when he or she visits the site again. Counter pixels – Also tracking pixels; graphic that is loaded when a page or e-mail is accessed and serves to collect statistical data on user activities. CPC – Cost per click; billing model for ads that defines the costs incurred for one click. CPL – Cost per lead; billing model for the cost of a contacting a user. CPO – Cost per order; billing model for advertising campaigns, which indicates the costs incurred per order. Customer Journey – All the steps a prospect takes until he or she becomes a customer. More about Customer Journey. CTR – Click-through rate; relationship between the mere insertion of a link (e. g. Banners or text links) and the actual clicking of the link. Measure for the success of online campaigns. Dark Web – Part of the Word Wide Web, which is not found in search engines, requires special access techniques and deals with illegal content. Deep Link – Hyperlink that does not refer to the start page but to one of the subpages of a website. This means that users can be guided directly to the topic they are looking for and do not have to click through the start page’s menu. Description – Also called “meta-description”; description of the website stored in the Header of a page. They are displayed in the search results list as snippet and inform users about the content of a website. Destination page – Web page to which a link refers. Disavow Tool – Is provided by Google to webmasters and allows them to remove incoming links from the ranking. Domain – The unique name of a website that consists of a top-level domain (country abbreviation such as “.de” or a functional hint such as “.com”), the second-level domain (name of the page, e. g. “seonerd”) and the third-level domain that controls a particular area (e. g. “mobile” for the mobile version of a page). Doorway Page – Page which is placed in front of the actual website to direct the user to a certain subpage. It is often used to attract users with certain keywords without the target page having anything to do with the search intent. Therefore it belongs to the area of the Black Hat SEO. Duplicate Content – Display of the same content on different websites. This leads to indexation problems or penalties by Google. Dynamic content – Web site content that adapts to pre-defined conditions and displays different content to different users. E-commerce – All types of trade in goods and services over the Internet. E-mail marketing – Online marketing measure; advertising contact via e-mail with existing and potential new customers, mostly via newsletters. Error page – Specially created page that is displayed to the website visitor when he or she accesses a non-existent version of a URL. Exact Match Domain – Domain whose name matches exactly the main keyword for the theme of the website. External link – A hyperlink that links from one domain to another; in contrast to internal links that link to subpages of the same domain. Eyetracking – A method using software to examine the exact gaze pattern of people on a website. In this way, it is possible to derive insights into how a website should be optimally structured from the user’s point of view. False Drop – Incorrect result in a search engine that has nothing to do with the actual search term. It happens, for example, when the keyword appears on a website in a different meaning or context. Footer – Footer of a web document, usually containing copyright and general information. Freshness – Refers to the timeliness of the information on a website. Frequent updating of the site results in more frequent crawling by search engine bots. Frontend – The area of the page that is visible to the visitor of a website. FTP – File Transer Protocol; network protocol for transferring data between the web server and the client. Fuzzy Search – Query in a search engine whose intention is unclear, e. g. searches without a clear target, which are done out of boredom. Geo-targeting – Method for the targeted use of online advertising with regional relevance. Google Suggest – Google’s feature that displays search suggestions for a search query when you type it in. Gray Hat SEO – SEO measures that are not explicitly prohibited in search engine guidelines but are undesirable. Header – Part of an HTML file containing meta-data important for search engines, such as title and description. Hijacking – Illegal takeover of a website or other elements on the Internet by a non-authorized user. Homepage – In the true sense of the word, this is only the start page of a website. Colloquially, this refers to the entire appearance of a website. hreflang – HTML attribute to clearly specify the language of a website for search engines. More about multilingual websites. HTML – Abbreviation for Hypertext Markup Language. HTTP / HTTPS – Hypertext Transfer Protocol, protocol for transferring data over the Internet. The HTTP connection that is specially secured by a special certificate is called HTTPS. Hyperlink – Link between files or websites on the Internet. Impression – Also page impression; number of visits to a website. This measurement helps determine the popularity of a website. Index – A search engine database; the inclusion of new web pages and content in the index is called indexing. Internal link – A hyperlink that links from a website of a domain to a (sub)page of the same domain. IP address – Network address that serves as the unique identification of a device in a network, enabling the correct addressing and delivery of data. Keyword – Refers to the query of a user of a search engine in the form of a term. Keyword density – Percentage of a keyword compared to the total text of a website. 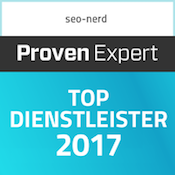 Keyword stuffing – Excessively frequent placement of a keyword in the meta tags and content of a website to make it more relevant to search engines; Black Hat SEO method. Knowledge Graph – A display integrated into the search results that displays additional information about a search term. KPI – Key Performance Indicator; for measuring the success of marketing measures. Landing Page – Website that is optimized for one or more search terms and provides the user with information specifically prepared for the search term. Lead – Contact of a potential new customer with a company via an online marketing campaign where users leave their contact details. Link exchange – Direct exchange of links between two or more website operators. 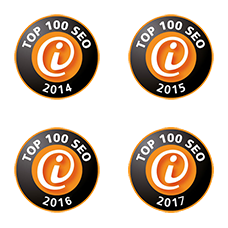 Link Farm – Also called Link Network; web pages that are only designed to link to other web pages are associated with Black Hat SEO. Link source – Starting point of a hyperlink. Local SEO – Optimization of a website based on regional search queries. More about Local SEO. Logfile – File for logging processes in a network that records e. g. time and duration of access, previously visited URLs or the IP address. Markup – Markup element to structure information in a document, e. g. to be better interpreted by search engines. Merchant – Dealer or provider of a product that is advertised in affiliate marketing by a website operator for commission. Meta tag – Information displayed in the header of a page, such as title, description of the page and its keywords. Microsite – Web page with a small size as a supplement to a larger web page that takes up a part of the page theme and deals with it separately. nofollow – Link attribute to identify links that should not be followed by search engine bots when crawling. noindex – Entry in the meta tag of a page as a hint for the bots of a search engine that a page should not be included in the index. OffPage SEO – Search engine optimization measures that do not take place on the site itself, but are intended to improve the reputation of a site by external factors such as backlinks. OnPage SEO – Search engine optimization measures that are performed directly on the page, such as shortening loading times or optimizing content. 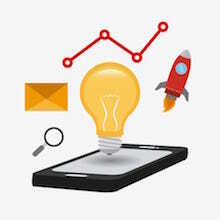 Organic search results – Search results that are not influenced by financial resources (paid ads). Orphan Page – Pages that cannot be found by search engines due to a lack of internal links. PageRank – A procedure used by Google to evaluate the relevance and quality of pages based on links; according to Google it now plays a minor role. 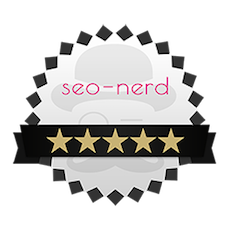 Penalty – Ranking downgrading or de-indexing by search engines as a result of rule violations. Pop-up – Window that opens automatically when a user acts on a page. Publisher – Website owner who advertises a provider’s products within the scope of an affiliate program and receives a commission for them. QDF – Query Deserve Freshness, Google’s algorithm that identifies which search queries users expect current content to be searched for and rates such documents higher. Query – Request in a search engine using the input field. Ranking – Position of a website in the search results of a search engine. Referrer – Indicates which URL a visitor used to access a Web page. Relaunch – Release of the new version of an already existing website, e. g. after a redesign of the design or the CMS. Responsive design – Design of a page that adapts to the screen depending on the end device, increasing user-friendliness. More about Responsive Design. Rich Snippet – Advanced preview of the search result (snippet), which contains additional elements such as rating stars, price quotations or links. robot. txt – Text file on the server of a Web page that is first viewed by the crawler and gives detailed instructions for browsing the Web page. SEA – Search Engine Advertising; part of search engine marketing (SEM), which deals with paid advertising in the form of image or text ads in search engines. Seeding – Marketing strategy for the targeted distribution of content in social networks and other media. SEM – Search Engine Marketing; all measures to use the search engines to win new customers. Consists of the sections SEA and SEO. SEO – Search Engine Optimization; part of search engine marketing (SEM), which includes all measures to optimize a website for indexing in a search engine and thus improve its positioning there. SERP – Search Engine Results Page, results page of a search engine with the findings for a searched keyword. Shitstorm – Internet phenomenon that takes place predominantly on social networks and in which a statement by a person or company leads to massive criticism, negative comments and even insults. Sitemap – A structured representation of all subpages of a website that provides a simple overview of the information on a website. Snippet – Display of a website in the search results of a search engine, consisting of clickable title, URL and short description. Social Signals – Contributions and comments made in social networks about a company or website. Source code – Character code of a web page generated in a programming language, which is translated by the browser into a visible page interface. Spam – Unwanted messages, e. g. in the form of e-mails or contributions to social networks; usually with advertising content. SSL – Secure Socket Layer; special, certified encryption method between client and server. More about SSL. Stop word – Words with no significant information content which are neglected by the algorithm of a search engine; stop words are, for example, certain and indefinite articles. Search operator – Characters or symbols for specifying a search query to further restrict the search results. Tag – Also HTML tag; an element used to create an HTML website that identifies a dataset with additional information; interpreted and executed by the browser, e. g. < h1 > … < /h1 > for a heading. Target group – A group of people with similar characteristics or needs that are addressed by specific marketing activities. Template – Programming or design template for an easy creation of a website. Term Vector – Binary list of significant words in a page; used by search engines to determine the thematic width of a website. Title – The title of a page in the header of a page, which describes it succinctly. Umlaut domain – Domain names containing one or more umlauts (ä, ö, ü) or special characters. Unique Content – Unique content on websites that do not appear on any other site. Unique Visitor – Number of users visiting a website; multiple visits by the same person are not counted. URL – Uniform Resource Locator; unique identification (address) of a document on the Internet. Usability – Operability or user friendliness of a page. User Experience – The experience that users have when using a website; not only concerns usability, but also the subjective impression of the visual appearance. User-generated content – Content on the Internet that is created and uploaded by users of a website or platform themselves. Validation – Checking a website for common standards, so that a page can be displayed correctly in different browsers, for example. Vertical search engine – Search engine that specializes in a specific topic. Visit – Viewing a web page by a user. Webdesign – Visual, structural, and functional design of websites. More about web design. Webhoster – Service provider that provides web space on a server and maintains it if necessary. Weblog – Also blog; virtual diary with editorial contributions on any topic. White Hat SEO – SEO measures that follow search engine guidelines. More about White Hat SEO. XHTML – Extensible Hypertext Markup Language; HTML-based markup language for editing web pages, enabling compatibility with scripting languages and data formats such as videos and images. Yield Optimization – All strategies to generate the highest possible advertising revenues from the traffic of a page. This includes A/B testing of different ad formats and positions.